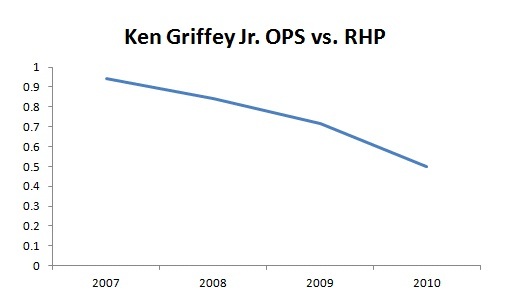 It’s May, we’re a month into the baseball season, and the great Ken Griffey Jr. experiment has failed. 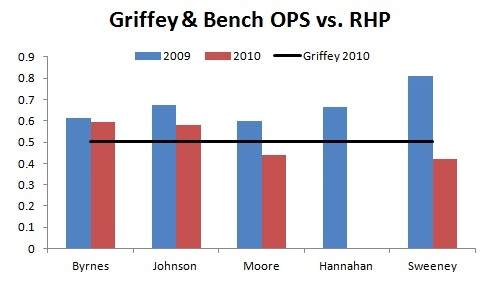 There are no bad dogs, but it’s time to move on and place Griffey squarely on the bench (or, frankly, release him). The plan was to have Griffey in a platoon at DH, where he’d play everyday against right handed pitching. 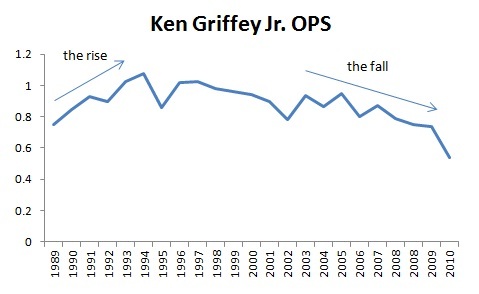 We now have enough data to make a call (1/6 of the season), and Griffey has been nothing short of a disaster. He has no extra base hits. He’s batting .228. There’s no more time to waste on this experiment. Jack Zduriencik and Don Wakamatsu, I implore you to make a change. Griffey, it’s been a good run.